A month after agreeing to sell a majority stake in its TV portfolio, Cox Enterprises Inc. is looking to make a deal for its radio stations. 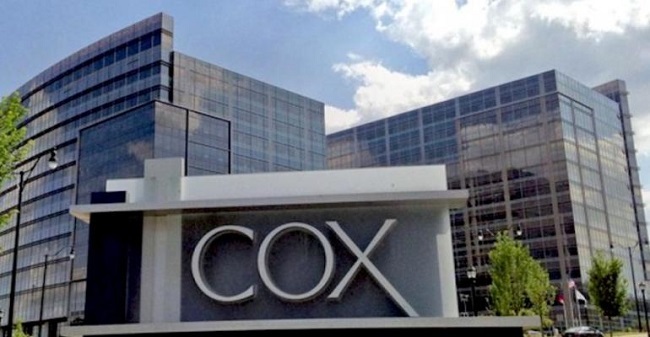 Sources within the company say Atlanta-based Cox is “exploring options” for all of its radio properties. Employees have been informed. There’s no timeline and any deal would not include the Atlanta Journal Constitution. Like other media businesses, broadcast radio has been rocked in recent years by the explosion in digital advertising opportunities available from web giants such as Google, Facebook and Twitter. Atlanta-based Cumulus Media, which owned and operated 446 radio stations broadcasting in 90 U.S. media markets, filed for Chapter 11 in November 2017 and recently completed its reorganization. iHeartRadio, the operator of 850 stations across the United States, filed for bankruptcy in March 2018. Driven by digital media economics, a wave of consolidation has also reshaped the U.S. TV industry in recent years. On Feb. 15, Cox announced a deal with Apollo Global Management LLC to sell a majority interest in Cox Media Group’s broadcast television stations, including the company’s radio, newspaper and TV properties in Ohio. Cox Enterprises will maintain a minority stake and will join the Apollo Funds in forming a new company to operate these stations, which will be headquartered in Atlanta. While terms of the deal were not disclosed, Reuters reported the deal was for roughly $3 billion. Cox’s radio portfolio currently includes 61 stations in Atlanta and Athens, Ga.; Miami, Orlando, Jacksonville and Tampa, Fla.; Long Island, N.Y.; Houston and San Antonio, Texas; Dayton, Ohio; and Tulsa, Okla. Its Atlanta stations include WSB AM 750, KISS 104.1 FM, B98.5 and 97.1 FM The River. Cox has owned WSB AM 750, “the South’s first radio station,” since 1939, when company founder James M. Cox bought The Atlanta Journal. The station had been launched in 1922.